Sta nevicando in Telluride ?Grazie! Telluride is where Butch Cassidy met the infamous Hole in the Wall gang somewhere around the 1870s. Telluride has naturally segregated terrain for all levels of ability. There's plenty of challenge, including the infamous Plunge into town. An environmentally sensitive gondola transportation system brings you from the town to the mountain. 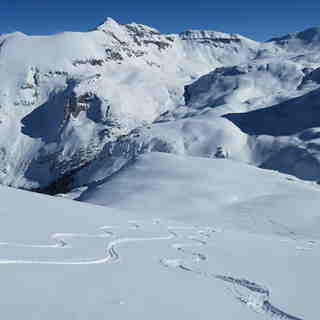 Three high-speed detachable quad lifts were added at Telluride last season. Lodging on site includes the Bear Creek Lodge condos and local area lodging, available within walking distance of lifts #7 & #8 which rise from town to the centre of the intermediate area. Lodging is also available at Mtn. Village Resort or in Telluride town. Telluride has been my go to mountain for 11 years. When it's good, it's amazing. The town is great, the food is good and expensive as to be expected. The vibe is very chilled here and you can't go wrong.....except. 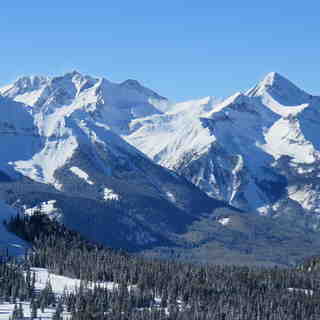 It sits at the very western edge of the San Juan Mountains in Southwestern Colorado. 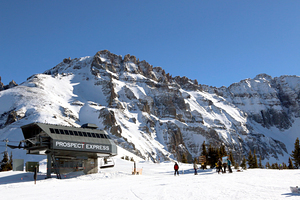 All the amazing facilities in the world can't make up for Telluride's fickle and often thin snow. I have enjoyed many wonderful powder days in Telluride, but I have used my rock skis more here than any other resort in the west. The 2017/2018 winter is by far the most dismal snow year at Telluride in my 11 years of skiing here... 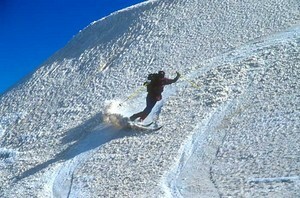 I am a Utah skier and good snow trumps every other aspect of a ski trip. If the snow is good, everything is good!